Dentistry with Integrity and Compassion. English, Ukrainian, Russian, Polish, Slovak, and Hungarian. The most important person in our dental office is the patient. We are committed to excellence concerning our technical skills in dentistry and to high moral standards, integrity, and compassion. Our practice’s philosophy is to treat you as if you were our own family. We implement minimally invasive dentistry that respects the health, function, and aesthetics of oral tissue. When you come in to Smiles Unlimited Dental Center, come prepared to change your perceptions of what a dental office should be like. Upon entering, all of our patients are greeted by our personable and caring staff with the same warmth and kindness that we would give to a good friend. This same care and compassion is extended throughout your entire visit and beyond. Providing personalized, friendly service to our customers on a long-term basis while using the latest and most advanced technologies are the most important aspects of our practice. Keeping your comfort in mind, our office is outfitted with the most relaxing accommodations as possible. All of our dental chairs are equipped with personal televisions to ease your mind and entertain you during your visit. Our friendly staff continues our dedication to comfort, greeting patients, welcoming them, and forming relationships that extend far beyond the confines of a dental office. Even when you’re not in the office, our staff works hard to make you feel like a part of the Smiles Unlimited family by calling you to confirm appointments and answer any questions that you may have pre or post visit. 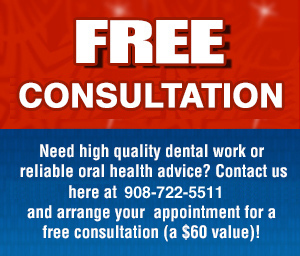 Our experts work with each individual patient to design a complete dental plan that will preserve your beautiful smile. Upon seeing a patient for the first time, an individual treatment plan is prescribed and several treatment options are made available to choose from.